Just when you manage to get one Christmas out of the way and over and done with, every single consumer tech company starts talking about its plans for the next one. 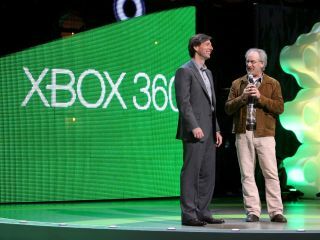 Microsoft leads the 'holiday season 2010' charge this week, predicting that they will sell millions of Project Natal hardware to Xbox 360 gamers before next Christmas. Speaking with Joystiq at CES, Microsoft's Aaron Greenberg said: "We think that there will be millions of Natals in consumer's homes this holiday." Greenberg also confirmed that the Natal add-on kit will work on all Xbox 360 systems, including those without a HDD. Last week Microsoft confirmed that Natal would consume up to 15 per cent of the console's processing power, although critics suggested that figure would be considerably higher in practise. So there you go. You can start making those Christmas 2010 wish-lists now.